At Tangar Infotech, we provide you with the SEO experts that are professionally experienced in the field of Digital Marketing. Tangar Infotech is one of the Top SEO Company in India, believes in providing the best Link Building Services to rank your brand on the top of the search engine. We believe in providing services that are extremely important to top your business on the top level. Tangar Infotech is a search engine optimization company, believes in “the time is now”. Whatever your brand needs have to accomplish now and not waits for a moment. Brand engagement, traffic and reach all depends on how you present and implement the product on the search engine pages. There are numerous strategies and means of doing the same. One of them is Search Engine Optimization. When you engage the brand in prominent digital marketing strategy, there are more chances of the success in gaining a high number of traffic and reach. It is extremely important to gain popularity on the search pages of the web. For doing so, one must be aware of how search engine optimization works and how to bring higher ranking on the search pages. Also, the business has to be go through a website audit, which relates to the evaluation of the tasks. Along with SEO Audit, another important aspect is SEM (Search Engine Marketing). Both process like SEO and SEM is necessary to increase the visibility of a brand. A business nowadays is less of offline and more of online. This means in the era of extreme use of technology and digitalization all the existing and newly set up businesses are upgrading for the same. To rank among audience’s mind, it is important to advertise the brand in a way that provides an engagement and brand awareness. Likewise, to rank your brand on the search engine page all you need is the perfect strategy with suitable tools. The advertisement has taken a new way apart from print media the digital media has been booming around the globe. SEO stands for Search Engine Optimization. It is one of the prominent techniques of internet marketing strategy. Basically, it leads to higher website ranking in different search pages. The reason behind implementing website marketing for your business would be gaining a massive traffic which will increase the reach in the search engine pages. As you might have experienced that when you search for something, you only focus on first five results of the page, excluding the sponsored ads. Same goes for any internet user. Whenever they search for anything, they usually opt for any of the first five results. Why link building strategies is necessary for a brand? The brand's website has to be optimized well. A website is optimized using different factors for the purpose of ranking on search engines. In order to optimize the website well for search engines, it is extremely necessary to understand the kind of language engines understand. This will help your website to top the ranking pages any reach to the target audience. The simple technique to do this is, to become a viewer yourself. Search for your needs and notice the way you search. Notice, what words and sentence you use, for the search. Any query, information or product is searched with some kind of words in the search engine. One needs to notice that. Also, the top results help you understand that what are the most searched keywords. This is the reason knowing the top keywords will help you implement your business on top when it comes to search engine pages. 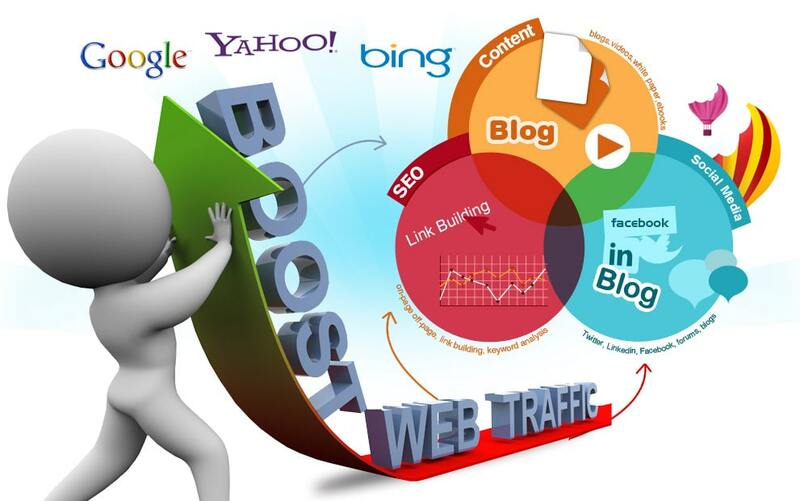 It is a part of internet marketing that also refers to Search Engine Marketing. The SEO audit also plays an important role for the complete results of the activities. Hence, this will give your brand a wider image. Our experts implement the most successful strategies for your brand. At Tangar Infotech, the experts are usually upgraded with the most advanced techniques of digital marketing services. Basically, there are two categories for SEO implementation: On-Page SEO and Off-Page SEO. The On-Page optimization showcases the on-website activities. It is necessary for the keyword view. The web pages are built with some targeted keywords. So that if a viewer searches for specific kind of services then your website has to be ranked. Content plays an important role in the same. While modifying the website on-page, it is extremely useful to improve the ranking. Also, it helps in efficient increment of website's domain authority with keywords based on crisp content. The Off-Page refers to the optimization of your brand's/website's online and offline footprint. It takes place with the help of content and links. Off-Page typically results in increase of your brand's name mention, search rankings, traffic of the site and conversions. Off-page cannot be ignored at any cost in order to gain genuine reach. There is a thorough process that our experts at Tangar Infotech follow with an in-depth research and understanding of your brand. Our patrons are already trusting with their brand’s services. Tangar InfoTech welcomes clients from different sectors to join us for the best SEO services in Navi Mumbai. Get in touch with us by simply calling on the number or droping us an Email at info@tangarinfotech.com. Also remember, SEO leaves the rest behind!